Born during the '80s from an idea by Bert Hellinger (a German psychoanalyst), Family Constellations are an original psychotherapeutic method now becoming increasingly widespread worldwide. Conceptual roots for this method are clearly explored in the book. During a family Constellation, the therapist has the real opportunity to put on scene all the unconscious, complex psychological dynamics of a given subject (the client, or 'seeker') and let them emerge within the system: such dynamics are often linked to his/her genealogical tree. Representatives for the significant members of the system are placed on scene, and a trained therapist, by insight, can see tridimensionally which dynamics are distorted, and suggest adequate changes. The 'seeker' remains free to accept such suggestions to improve his life, or remain passively enchained to a destiny, which is not his own. So, the subject is active, present to himself in the process of change. Thanks to the fact that the representation works on a symbolic level a Constellation can be a tool for knowledge and real change. 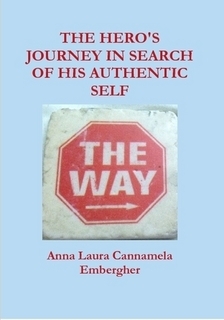 Several case studies are analyzed, to provide the reader with a more immediate understanding of what is at stake: simply, our well-being or, as the Author prefers to say, the discovery of our true Self. Such a pursuit is here defined as 'the hero's journey', since only a hero, or a Fool, can find the courage and strength to start such huge adventure, from which deep personal changes derive. Special attention is given to exploring masculine and feminine energy, and to promoting the development of a new masculine principle, to substitute patriarchal cultural structures. was born in 1975 in Milan, where she obtained a university degree in philosophy; her final work was on trans-generational psychotherapies. She works as a primary school teacher. For 20 years she has studied ritual and symbolic languages, always focusing on their application on reality. She has travelled extensively, especially in Latin America, teaching ancient and contemporary Gnosis. Keeping a 360° open mind on meditation techniques and different approaches to inner life, she has learnt new therapeutic registers directly from a variety of shaman masters, and periodically refreshes such knowledge. She also studied with scholars belonging to the Sufi Naqshbandi tradition. She then decided to specialize in Family Constellation (Hellinger method) in 2005, and since then she has been transforming this therapeutic approach into a precious tool for change, thoughtfully blending together ancient rituals and the ancestral energy flow that nourishes all our lives.